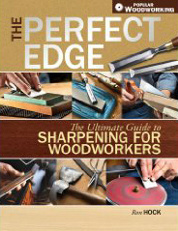 According to Christopher Schwarz, “The Woodwright’s Guide captures the true glory and mystery of the material that built this country, from the first swing of the axe to the final shaving of a smoothing plane. Roy Underhill’s impressive technical knowledge, respect for traditional methods, and amusing storytelling make this his finest effort to date. I devoured every word and enjoyed it immensely.” This says it all.